Rumors are surfacing once again that suggest Research In Motion could be in talks with Samsung to license the long-awaited BlackBerry 10 mobile operating system to the Korean electronics giant. Jeffries and Company analyst Peter Misek told investors in a recent memo that he believes a strategic review from RIM will result in a decision to license the OS and that Samsung is the most likely target at this time. As All Things D puts it, RIM’s best hope for recovery doesn’t lie in the operating system itself but in a licensing deal. In his memo to investors, Misek said that RIM now appears to realize what Wall Street has been saying for some time: they are a subscale manufacturer and are in desperate need of a partner. The analyst reportedly based his assumptions on recent RIM management comments in the press. The idea isn’t as far-fetched as it might seem. 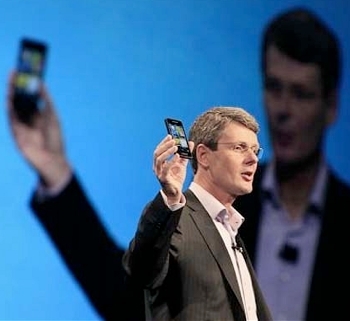 Just last week, RIM CEO Thorsten Heins told the Telegraph that his company doesn’t have the economy of scale to compete against manufacturers that can churn out 60 handsets a year. He further noted that RIM may need to look at licensing BB10 to someone that could do it at a better cost proposition than they could. Misek believes that Samsung would be interested in BB10 to further along their internal development of an operating system, a move that would help to reduce their dependence on Android. Such an acquisition would also likely give Samsung access to RIM’s subscriber base although he concludes that an announcement likely wouldn’t come until after the OS launches.